Crowdfunding can be broadly understood as a way in which creative and business innovators look for funding to realise their ideas. The funds are gathered from a large number of individuals investing/donating small amounts – mostly online – in projects they are interested in (Mollick 2). Therefore, crowdfunding is an alternative method to the traditional modes of funding, where a small number of organisations or individuals offer considerably large investments (Belleflamme, Lambert and Schwienbacher). Crowdfunding is based on the principle that “funders are investing funds in a [specific] project, and thus expecting a successful outcome” (Mollick 4). Thus, for a creative product, such as film, successful crowdfunding mostly depends on an interest, or belief in the success of the proposed film, especially in the case of independent projects not reliant on the attractions of a significant star-performer or director. Yet, such projects may also have some sort of fanbase following (albeit not as widespread as mainstream stars and projects) from funders familiar with the creators’ previous work. 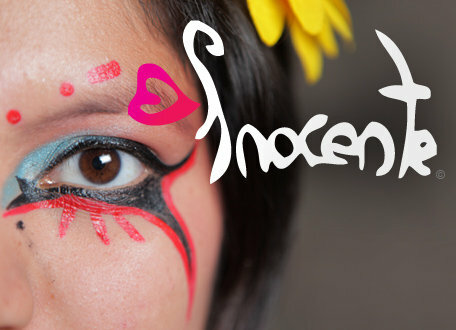 This can be seen in the case of Documentary (Short Subject) Academy Award winning film Inocente (2012). On the one hand, the involvement of previously Academy Award nominated directors Sean and Andrea Fine can instil trust in the quality of the final product for potential funders completely unfamiliar with the directors’ work. On the other, these directors may already have a number of people consistently admiring their work. Thus, in cases like this there is much more than just a belief in the quality of an individual product but more a considered investment in certain creators and types of filmmaking. This means that crowdfunding is not simply the donation of some money to a single project, it is rather an integration of the audience into the production process, funding what they want to bring to screen. This holds true for crowdfunders supporting the work of Academy Award nominated directors such as Sean and Andrea Fine and Spike Lee), seeking to resurrect television shows suchg as Veronica Mars and Blue Mountain State), or supporting stars in new projects, such as Rob Zombie with 31 or Zach Braff with Wish I Was Here. Thus, projects that address a particular fan-base start one step ahead of projects by unknown newcomers since fandom involves an overarching trust in the work of certain individuals, a certain product, or tropes, characters, genres, stars, and so on. Although the main goal of crowdfunding is to find funding for a project when traditional modes of financing are not available, it can also be used to “demonstrate demand for a proposed product,” proving its potential success (or failure) and thus attracting traditional financing, as well as for marketing – “creating interest in new projects in the early stages of development” (Mollick 3). Fan-based crowdfunding relies on the fact that devoted audiences want to see more of existing media or filmmakers they love. However, the most well-known and successful crowdfunding site, Kickstarter makes use of the reward-based system by which creators offer certain prizes for certain monetary pledges, such as early access to the film, invitations to the premiere, a mention of the pledgers name in the credits, and so on. 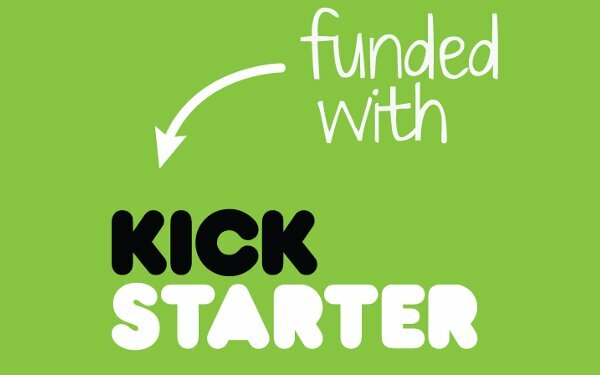 Some of the most successful KickStarter projects have been based on pre-existing media and/or well-known names in popular culture, making use of the reward-based system. The Veronica Mars Movie Project raised $5.7m in 2013, becoming the highest funded film project in Kickstarter history (John). The project sought to resurrect the popular US television show Veronica Mars (2004-2007) six years after its cancellation. The fans were eager to see their favourite show brought back and be given the conclusion it deserved after a disappointing ending, and so they flooded KickStarter with pledges. The campaign offered many rewards for backers as well. These included the typical ‘thank yous’, early access to copies of the film and tickets to various premieres and fan-screenings. For more substantial pledges, donors were offered work as extras and speaking roles in the film, and personalised videos from various members of the cast and crew, including the star Kristen Bell. This meant that a fan of Bell could buy themselves a personalised video for $600, and even a chance to spend a considerable amount of time with her and the rest of the cast and crew for above $1000 (kickstarter.com). A more recent campaign sought to bring back college football comedy Blue Mountain State (2010-2011) after its sudden cancellation. The campaign followed a similar strategy to The Veronica Mars Project, with the addition of the offer to feature a product, company name or logo for a $10,000 pledge (kickstarter.com) Therefore, the campaign not only encouraged its fans to help fund the film with special products and experiences, but also sold marketing opportunities for businesses. Musician turned horror director Rob Zombie, found funding for his upcoming film 31 through a lesser known website similar to Kickstarter: Fanbacked.com.. Zombie’s campaign made overt use of his music career offering a Meet & Greet package – ticket not included – for his 2015 tour for fans who pledge $150, as well as a ‘Forever Pass’ for every future Rob Zombie concert for a pledge of $1000 (fanbacked.com). Former Scrubs star Zach Braff, independent director Spike Lee, and many more have also made use of online crowdfunding, using the reward-based system combined with their household names. Some argue that “participatory online culture is exploitative of fan money, time and work” (Booth 151). Controversy around Zach Braff’s Wish I Was Here focused on the fact that with his star persona he surely must have other funding avenues available. However, the KickStarter campaign composed only part of Wish I Was Here’s final budget of $6m, and the rest was funded by Braff himself and major film financier Worldview Entertainment (Dredge). On the other hand, it is easy to demonstrate that fans may not be exploited at all since, they “are well aware of their role in the financing of a film” (Booth: 151). Inge E. S examines the effects of crowdfunding on documentary production in the UK. She points out that the traditional method for funding and distributing documentaries through BBC, ITV, Channel 4, Channel Five and their subsidiaries, and online crowdfunding “should, on the face of it, benefit both filmmakers and broadcasters, [but] in reality both systems are propelling a drive towards a polarization of budgets for documentary films” (727). She also points out that “name recognition, branding and access to esteemed distribution outlets, channels and festivals still determine what is produced, funded and commissioned – and this is as much the case in the new financing and distribution forums online” (730). This mostly applies for any successful crowdfunded film project (in the US as well as other countries) since the crowdfunding process only allows filmmakers to gather funds for the production of films which – even if though independent in status – go on to be distributed by such channels. Although Kickstarter only allowed funding from US citizens at the time of its inception (Mollick 4), it now allows funding from anywhere around the world as long as the backers have a major credit card. However, “project creation is currently available [only] to individuals in the US, UK, Canada, Australia, New Zealand, the Netherlands, Denmark, Ireland, Norway and Sweden” (kickstarter.com 2015). The limitations on the creators’ nationalities show an unequal distribution of rights by Kickstarter and diminishes the opportunities available to filmmakers working in other countries. However, many films of various national cinemas have been crowdfunded through other big-players such as indiegogo.com, as well as nation-specific crowdfunding websites. For example, in Turkey, five national crowdfunding sites were formed between 2010 and 2013 (Koçer 234). In countries like Turkey it is incredibly difficult to find funding for certain film projects since the main source of national funding for cultural products – the Ministry of Culture – has a strict policy on the content allowed, including that the content be compliant with “the general morals of the Turkish family structure” (Güneysu qtd. in Koçer 238). 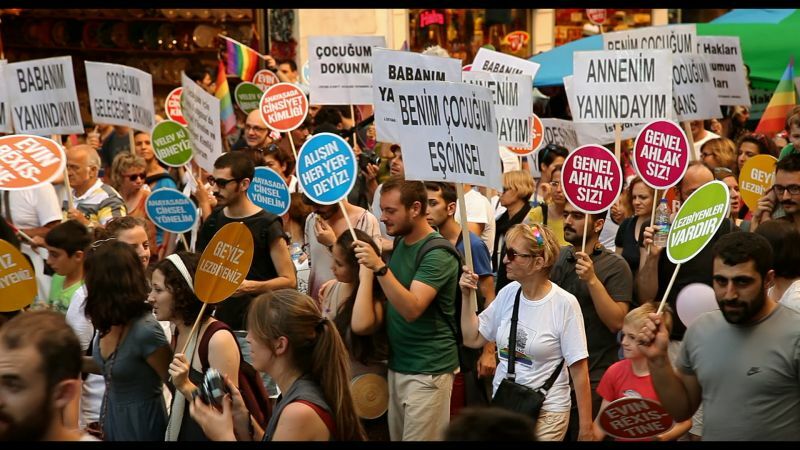 Thus, films like My Child (2013) directed by Can Candan, a feature length documentary that shows five LGBT individuals through their parents’ eyes and raises concerns about homophobia and transphobia, is immediately ineligible for national funding in the predominantly homophobic culture of Turkey. Even though the project did not reach the proposed aim of $40,000 worth of pledges on indiegogo.com, it did raise $18,000 and was able to find further funding through Amnesty International, the British Embassy and the Consulate of the Netherlands (Koçer 238). Without crowdfunding this important film would never have been made. Overall, crowdfunding offers a platform for filmmakers to find funding for the films they would like to make, and for the audiences to support the production of the films they would want to see. As with any form of funding for cultural production, the practical and ethical problems can (and do) arise frequently, but these mean that crowdfunding should be approached and participated in cautiously and critically rather dismissed altogether. Bannerman, Sara. “Crowdfunding Culture”. wi.mobilities.ca. Web. 17 Feb. 2015. Belleflamme, Paul, Thomas Lambert and Armin Schwienbacher (2010) “Crowdfunding: Tapping the Right Crowd’. Journal of Business Venturing 29 5 (2014): 610-611. Print. Booth, Paul. “Crowdfunding: A Spimatic Application of Digital Fandom’. New Media & Society 17 2 (2014): 149-166. Print. Dredge, Stuart, “Kickstarter’s Biggest Hits – Why Crowdfunding Now Sets the Trends” Guardian.com. Web. 17 Feb. 2015. Goodell, Gregory, Independent Feature FilmPproduction: A Complete Guide From Concept Through Distribution, (New York: St. Martin’s Griffin, 1998). Güneysu, Selda. ‘Ahlaklı Tiyatrodan Sonra Artı 18’lik Sinema’. emedya.cumhuriyet.com.tr Web . 11 Mar. 2015. John, Emma. “Veronica Mars, the Movie: ‘Fans Gave the Money, There Was All This Pressure.’’ theguardian.com. Web. 11 Mar. Koçer, Suncem, “Social Business in Online Financing: Crowdfunding Narratives of Independent Documentary Producers in Turkey”. New Media & Society 17 2 (2015): 231-248. Print. Mollick, Ethan. “The Dynamics of Crowdfunding: An Exploratory Study.’ Journal of Business Venturing. 29 (2014): 1-16. Print. Sørensen, Inge Ejbye, ‘Crowdsourcing and Outsourcing: The Impact of Online Funding and Distribution on the Documentary Film Industry in the UK’, Media, Culture & Society. 34 (2012): 726-743. Print. Inocente Filmmaking Team. “Inocente: Homeless. Creative. Unstoppable.” Kickstarter.com. Web. 1 Mar. 2015. Thomas, Rob. ”‘The Veronica Mars Movie Project”. Kickstarter.com. Web. 1 Mar. 2015. Braff, Zach. ‘Wish I Was Here.’ Kickstarter.com. Web. 1 Mar. 2015.